We tend to try to teach our children to be kind—to share and to say sweet words and to play nice, right? But between you and me, fellow grownups, we can be some real sass-mouth kids to each other. As a culture, we’re inclined to celebrate the zingers. The quick come-backs, the smart insults, the comic teasing. Something in us loves to shout, “Ohhhh! Apply cool water to that burn!” after a particularly glorious gibe. And a lot of times, it really is all in fun. We like to laugh. Big deal. The potential problem is that for some it can be a bit habit forming. Has it become weird to look someone in the face and speak sincerely some kind words to them? Or to hear kind words spoken to you? The truth is, we can so train our brains in this method of verbal sparring that we look to score points with hardly a conscious thought, while trying to honestly encourage someone is like trying to do calligraphy wrong-handed. It’s uncomfortable. And it probably doesn’t turn out like what you had in mind. But Ephesians 4:22 tells us to, “Be kind to one another, tenderhearted…” Those of you who have children, what could be sweeter to you than seeing your kiddos show kindness to each other? Have you thought about ways you can bless your heavenly Father lately? Be kind. Be tenderhearted. Where there may be discomfort or awkwardness or an odd feeling of vulnerability in the effort to replace glibness with kindness, think of Jesus and this opportunity you have to be sweet to Him. I think sometimes these days we have the idea that a kind person is this saccharine, obnoxious, weak, or false sort of person. So let’s be clear. Kindness isn’t the same as lying or flattering or overlooking sin. In fact, sometimes confrontation is the kind thing to do. Psalm 141:5 says, “Let a righteous man strike me—it is a kindness; let him rebuke me—it is oil for my head; let my head not refuse it.” Replacing truth with feel-goodisms is no kind of kindness at all. It’s more like apathy in fact. But kindness does require approaching someone in love and with the understanding that you are not their superior. That their struggle could just as easily be yours. Kindness is dismissing the desire to put someone in their place and instead asking the Lord to use you however He wants in that moment, that you might see someone else victorious in Christ. There is something a bit sinister, too, in the habitual teasing: it tends to keep things on a superficial level. It’s difficult to share personal struggles or victories or vices with someone whose tendency is to laugh things off or call things out. So even if sharp but funny insults are the popular thing, they’re not generally what people are thirsting for. We may celebrate the wit of the jokesters, but we are drawn to the hearts of the kind. Probably because when people are being kind, they’re being like Jesus. Galatians 5:22-23, “But the fruit of the Spirit is love, joy, peace, patience, kindness, goodness, faithfulness, gentleness, self-control; against such things there is no law.” Kindness is an evidence of the work of the Holy Spirit in you. If you find yourself defaulting to clever put-downs or brush-offs, ask Him to change your mind. Ask Him to show you how to bless Him by blessing others with your words and actions. Don’t make the mistake of believing that kindness is a lesson we ought to reserve for children. It’s massively important. It’s a command. And it’s impossible to do it well without the help of our tirelessly kind and merciful Father. 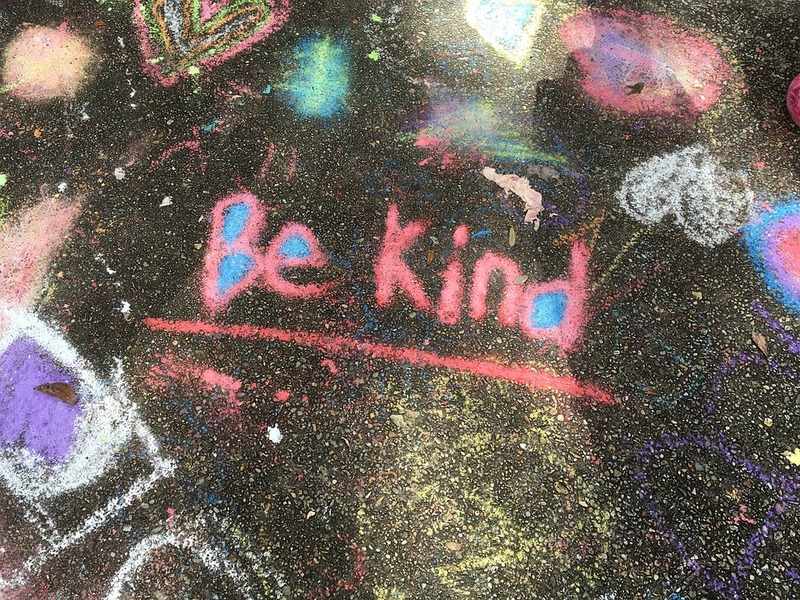 How can you take kindness out of the Sunday School classroom and be intentional about it in real life? *First posted at Upgrade with Dawn.